Some say the BJP's decision to send Gordhan Zadaphia to Uttar Pradesh was taken quite in advance given the network he's built in the OBC community during his frequent visits to the state and to offset the gains the Congress might accrue owing to campaigning by Hardik Patel. File photos of BJP leader Gordhan Zadaphia and Congress leader hardik Patel. New Delhi: A fierce political fight between two Gujarati political heavyweights is on the cards miles away from Gandhinagar in Uttar Pradesh. On one side is an old BJP hand, a former home minister of Gujarat, recently made the party's in-charge of Uttar Pradesh, 64-year-old Gordhan Zadaphia. On the other is a mass leader less than half his age, who is often described with adjectives like ‘firebrand’ and ‘rabble-rouser’, who is one of the Congress’ star campaigners in the northern state, 25-year-old Hardik Patel. Zadaphia is understood to be an out-and-out organisation man who, despite his fallout with the party leadership, is an important backroom operative for the BJP. Patel is a ground-based leader who has quickly amassed enough political capital to become the staunchest anti-Modi voice from within their home state of Gujarat. BJP's organisation man in Uttar Pradesh comes from Bhavnagar and has a sizeable presence among his community of Leuva Patels in Saurashtra. He was considered the ‘number 2' during the tenure of former Gujarat chief minister Keshubhai Patel, managing the state’s home affairs. 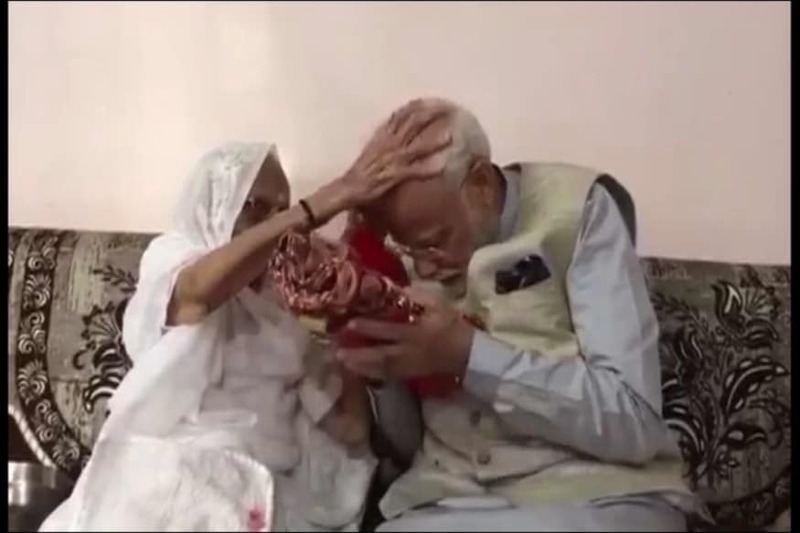 However, he soon fell out with the then Chief Minister Narendra Modi and Zadaphia was named as an accused in the 2002 Gujarat riots. After launching a party with mentor Keshubhai Patel, Gujarat Parivartan Party, which later went on to merge with the BJP, Zadaphia maintained distance from the saffron party till 2014 when he was reinducted into the party by Modi himself and made national general secretary of the BJP's farmer wing, Kisan Morcha. He was also sent to West Bengal by the party to chart the BJP’s roadmap and played a role in its success in the assembly election in Gujarat in December 2017. However, his current assignment is perhaps the toughest he has handled so far. According to some theories, the BJP has been giving him national roles in an attempt to keep the influential Patidar leader within the party, but outside the state. There are others who suggest that the decision to send him to Uttar Pradesh was taken quite in advance given the network he's built in the OBC community during his frequent visits to the state and to offset the gains the Congress might accrue owing to campaigning by Hardik Patel. Which brings us to the question of why Patel has been named a star campaigner in UP. The chief reason seems to be an attempt to consolidate the Patel/Kurmi OBC community which is present in Awadh and in sizeable pockets of eastern UP, especially around the region of Varanasi, Chandauli and Mirzapur, for the Congress. Eastern UP is a major source of encouragement for the grand old party for its revival in the country's largest state given that it had won most of its 21 seats in the 2009 Lok Sabha election from the region — 15. (In 2014, of course, the party won only the two ‘family seats’ of Rae Bareli and Amethi). The reason behind the Congress’ performance in the region is primarily due to its Kurmi mascot who helped bring a chunk of OBC votes — Beni Prasad Verma. Considered to be the mentor of Samajwadi Party (SP) patriarch Mulayam Singh Yadav, Verma left the SP in 2007, unsuccessfully floating his own party and finally joined the Congress just before the 2009 Lok Sabha election. This gave the grand old party a popular Kurmi face it did not have in recent times. Verma was rewarded with a cabinet berth. However, he defected to the SP again just before the 2017 UP assembly election, leaving the Congress without a popular Kurmi face, which it desperately needed given that the community is the second-most dominant OBC group in UP after the Yadavs. It is Hardik Patel who fills in that spot. 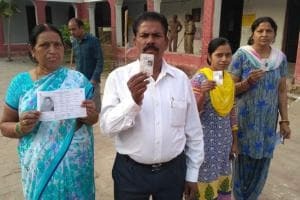 There are about 20 seats in east UP which have a substantial Kurmi population, where a Kurmi swing, along with the help of some upper castes and Muslims can easily swing elections in favour of the Congress. 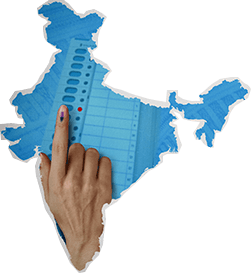 Among these seats are Varanasi, Mirzapur, Bareilly, Pilibhit, Kheri, Barabanki, Pratapgarh, Banda, Phulpur, Kaushambi, Allahabad, Ambedkar Nagar and Basti. 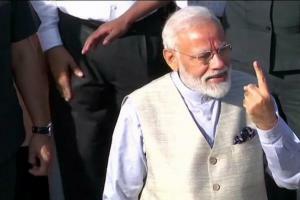 If Patel is able to stir up an anti-Narendra Modi sentiment and mobilise Kurmis in these seats, it could impede the BJP's juggernaut in the state where the saffron party has repeatedly performed its best.